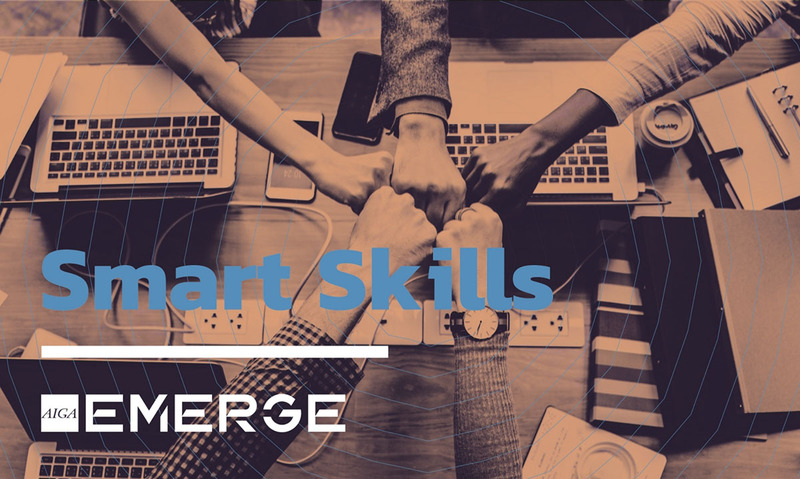 Whether you are looking for employment at an agency or striking out on your own as a freelancer, soft skills are the smart skills that help you thrive in today’s job market. Self-promotion and relationship building are just as important as having a polished portfolio. At the AIGA EMERGE SMART SKILLS event, join fellow entry-level designers at Full Spectrum: GamerHaven to participate in this interactive workshop, where you will learn some of these important smart skills from supportive and engaged industry professionals, including how to write better resumes, receive feedback on your portfolio, and practice presentation skills in front of an audience. Space is limited. Advanced registration by September 21, 2018 is required.